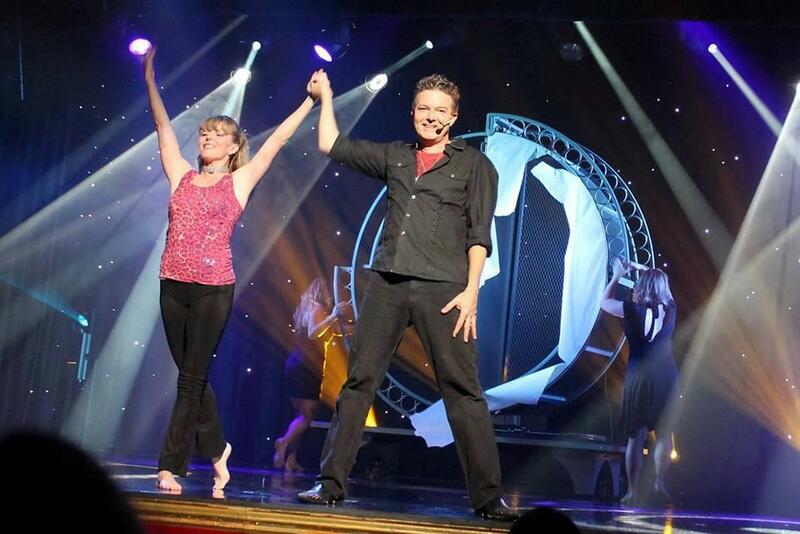 Taylor Reed: Master of Illusionist at Jim Stafford Theatre is one of the most exciting Branson shows that is sure to amaze everyone. This comedy and magic in one show is a magical journey which features a mix of comedy, original story lines and colorful set of original and intriguing time of magic and laughs. As a master illusionist, Taylor Reed will perform amazing tricks that will push you at the edge of your seat as he performs magic and illusions you have never seen before. With over four decades of performing magic, Taylor will entertain Branson audience with his magic tricks and master illusions that will leave you amazed and entranced. Taylor Reed’s Magic and Comedy Show is enhanced by brilliant costumes, fun story lines, wonderful sets, musical elements, and even a little poodle that assists him with some of the tricks. This high energy magic show will delight audiences of all ages, making this unique magic show great to watch for families as well as couples. This talented magician and illusionist has now made Branson his home where he performed as magician and illusionist for the past several years. His magic show in Branson is such a fascinating event that you don’t want to miss while you are having a great time in this live entertainment capital of the world. For more than 15 years touring to many places in the country, Taylor Reed have performed sold out tickets during those years. The amazing magician and illusionist have received numerous awards from Branson Missouri Daily Independent to the Las Vegas Review Journal. This well-travelled magician has performed on stage with Roy Head, Jim Ed Brown, Chubby Checker, Freddy Fender, Bill ‘Crash’ Craddock and Selena. He has appeared also for celebrities such as Sylvester Stallone, Mike Tyson, Bridgette Nielsen, Tony Danza, Bobby Brown and Carrot Tap just to name a few. As you watch the Magic and Comedy of Taylor Reed, you’ll get to see amazing magical performances, a breathtaking fire eating performance, and Taylor’s menagerie of furry friends. This unique magic and comedy show offers mesmerizing illusions and tricks that are both entertaining and fascinating for guests of all ages. Watching this magic show, gives you the opportunity to enjoy great music performances, exciting costumes, a funny dog that assists Taylor with his magic tricks, fun surprises, and a show cast full of energy and enthusiasm. When Taylor Reed performs magic and comedy, he usually asks some of the audience to get involved with the show in an interactive manner, especially young audience. Many of the tricks and illusions that Taylor performs can really make every audience go wow and amazed. Everything about the magic and comedy show of Taylor Reed is phenomenal. Many of the audiences are invited to join the show and even young children love to join. Taylor Reed’s Magic and Comedy is one of the most unique Branson shows as it offers mesmerizing illusions and tricks that are sure to amaze everyone.